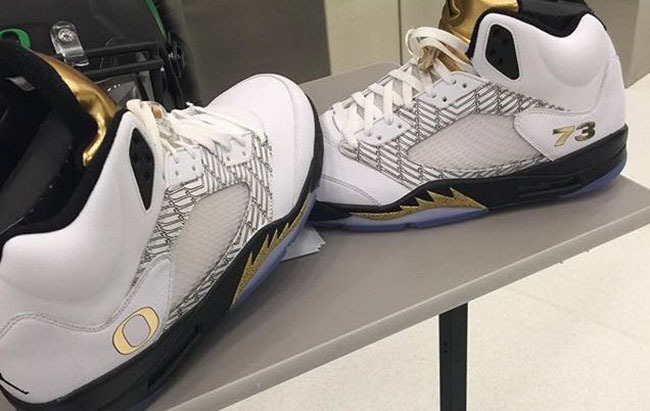 The Oregon Ducks Air Jordan 5 ‘Gold Medal’ PE alters the retail release of the Air Jordan 5 Gold Medal for the school’s football team. 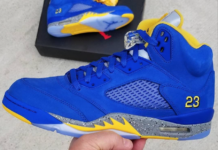 The ‘Gold Medal’ Air Jordan 5 which was a retail release has been modified for the Oregon Ducks which we can see many salivating for. 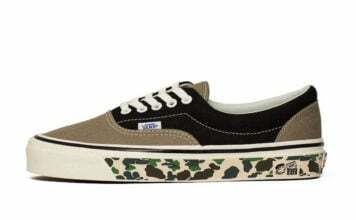 As you can see, the do resemble the version that hit shops, but there are some major differences. Across the sides is the use of laser detailing which resembles feathers while the school’s ‘O’ branding in Gold is seen by the heel on one. The other will have the players number and in this case, it’s 73. 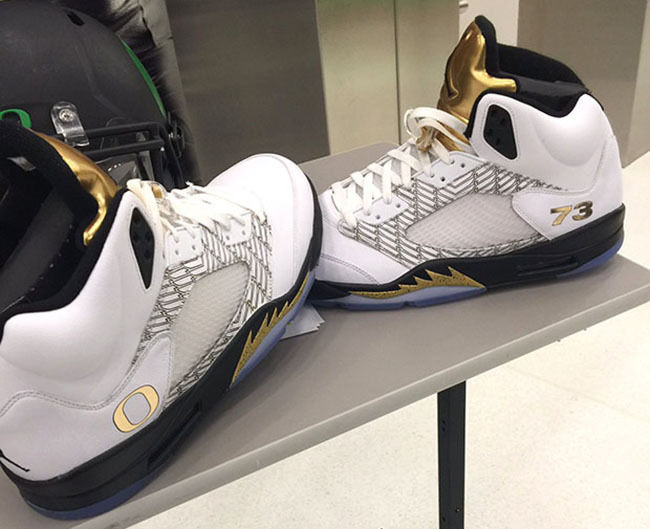 Usually Jordan Brand has a complete new design for Oregon Ducks PE’s. 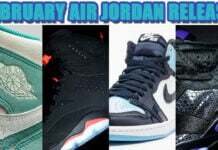 This isn’t the case with this Air Jordan 5, however they were done nicely. 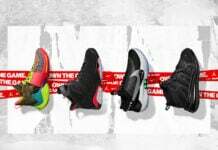 Let us know your thoughts on the school’s latest Air Jordan PE in the comments section below. Once more images surface, we will make sure to update you.